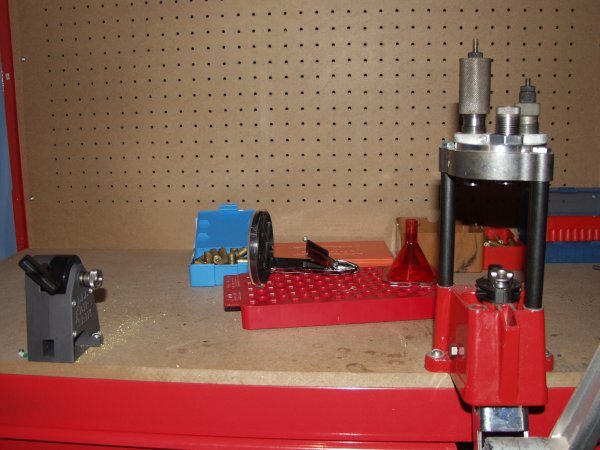 It doesn't matter what make or type of press you get, the most important thing is it must be bolted securely to your reloading bench or board if you are having a temporary set up. Ensure that the arm can rotate the full amount it needs and its at the right height to sit at whilst operating the press. Make sure you can put a lot of pressure on the arm when pushing down, especially with Lee neck sizing dies, without moving the bench. You may also have a trimmer that needs attaching to your bench or a powder thrower. Attach these so they don't get in the way of the bench and can be easily reached (especially the powder thrower) from your sitting position by the bench. You don't want to keep having to get up each time to get the powder. 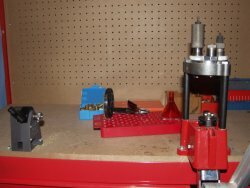 If you have a turret press then you can install all your dies and have them ready as and when you need them. 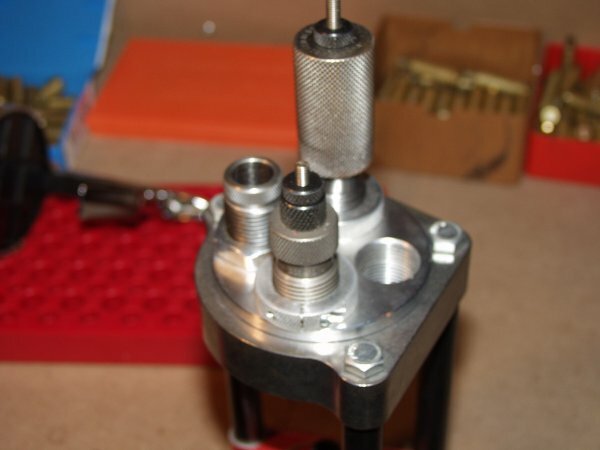 A single turret press will need you to install the correct die for each process. Both work well. You will need to read your die manufacturers instructions, but most dies are installed by putting in the shell holder and raising it all the way to the top by lowering the arm. You then screw the die in till it touches the shell holder. Then depending on the dies you sometimes turn the die another ¼,1/3,1/2 turn, but check what the instructions say. I have also come across a generic neck sizing die that you have to lower a bit at a time till it resizes the correct about of neck. With the die in the correct place tighten up the lock ring so it stays in place. Some dies have a lock ring that is tightened with a screw or allen key. The lock ring should allow you to remove and reinstall the die in exactly the same place each time. But be careful when doing this (especially with dies that don't have a tightening screw) the the locking ring doesn't move too.